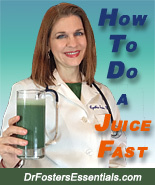 This program consists of the basic 4 products needed by most people to do a successful liver cleansing program. It is important to take all four formulas, including the intestinal cleansing formulas because they absorb and speed toxins such as thickened bile sludge, toxic chemicals and excess cholesterol out of the body. To make this Program even stronger, add a blood cleansing formula: Blood Detox Formula or Echinacea Premium Formula. 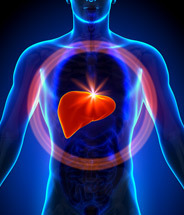 If you are over the age of 35, it is recommended to do the Simplified Stone cleanse first before attempting this liver cleanse. This is important since many people have silent gallstones and don't realize it. The Simplified Stone cleanse is designed to soften and shrink stones and ease spasms in the bile ducts. Save 10% over buying these four items separately. People who suffer from chronic diarrhea, loose bowels or colitis should not take the Vibrant Colon in this program, but can order the other items separately and still do the program without the Vibrant Colon. People who have ever had cancer, have a skin condition, or who have a serious medical condition should add the Blood Detox or the Echinacea Premium to this program in order to minimize healing reactions. *These statements have not been evaluated by the FDA. This program contains herbal supplements. According to the FDA, herbal supplements are not intended to diagnose, treat, cure, or prevent any disease. I took Dr. 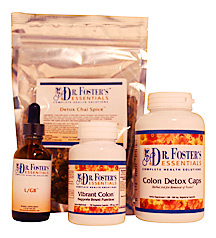 Fosters liver cleanse and I ended up losing 7 pounds that i have not been able to lose in 10 years. My joints feel so much and my stamina has improved. I am so happy because I do a lot of sports and I am moving like I am 10 years younger. I have done the "Health food Stores" cleanse and there is no comparison as to how much this helped me. How do you put a price on out performing guys 10 years younger. The first 4 days were hard since my body was detoxing, I had headaches and felt sluggish and thought about quitting but I would highly recommend you see this through. I will be doing this cleanse every 6 months for sure.